So long as you have a rooted Note 3 and TWRP installed, you should be able to easily install the DarkLord ROM. NFC is not working so be aware of that if you need NFC working. Battery life is excellent, you will also be able to change the resolution of Galaxy Note 3 from 1080P to 720P in battery saving mode. 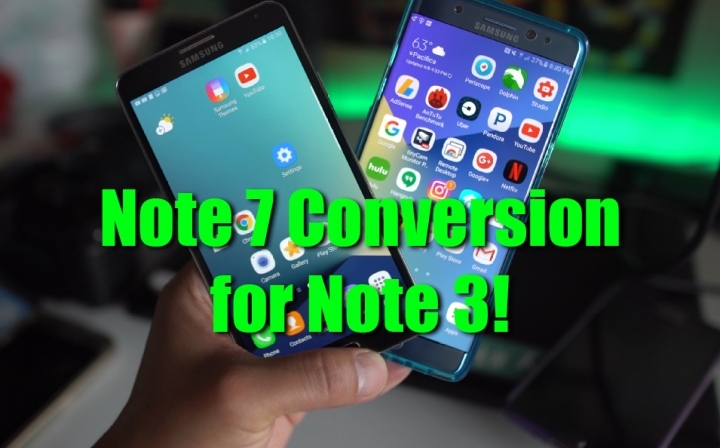 For full installation instructions, check out How to Convert Galaxy Note 3 into Note 7 at GalaxyNote3Root.com. Hey Max, I’m having the same problem. Signal keeps dropping on my Tmobile. Hi I’m stuck on Samsung. How can I fix this? I’m having issues on my n950 I changed from the x-note rom and installed dark lord. I have found that the camera doesn’t work properly. video fails and camera doesn’t work with some apps. Do I need to install stock rom and upgrade patch to marshmellow or something?? Next story Pokemon Go 0.37.0 – Buddy, Root, and FlyGPS Hack Update!